It has been a long time since we raced a car at Peter Auto races. Last time was in 2013 with our beloved Porsche 908, finishing 3rd on the podium. 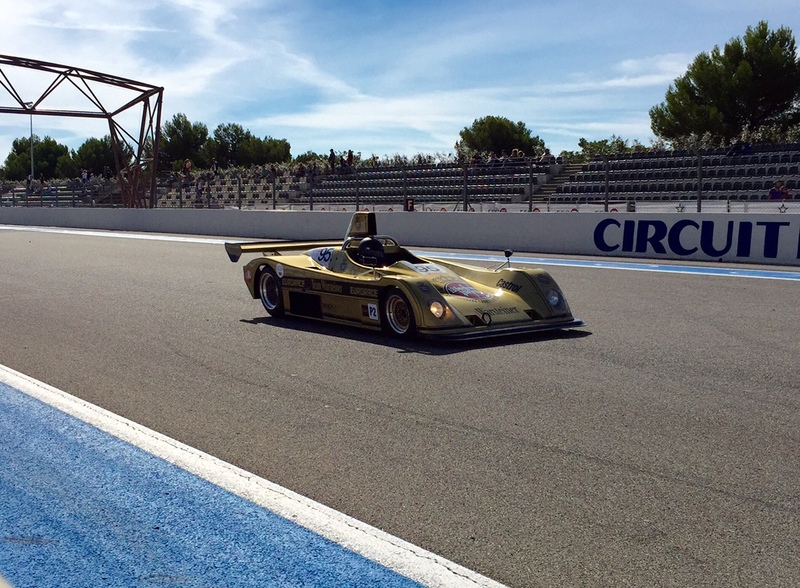 This year, Jean Guikas decided to enter the Dix Mille Tours race at the Paul Ricard circuit with the Toj SC 304. In the period (1976/1977), the car was driven by Jorg Obermoser and Rolf Stommelen. Among the 6 races the Toj SC 304 entered, she finished 1st at Mainz Fithen, 2nd at Sudwestpokal Rennen and 12th at the 500 Kms of Monza. The previous owner restored the car to the highest level, working with the best engineers and the result is amazing. The car is in perfect condition, mechanically and cosmetically. We tested the capacities of the Toj for the first time a few days before the race and have been very impressed by its performances. The Toj and Jean Guikas finally started on the last position (37th) on the grid. The car and her driver run very well during the race, except the tires which were not appropriated at all, and finished 10th on the final grid. The Toj SC 304 will be for sure back very soon on the track... During the 2016 Peter Auto season for example.